Pawel specializes in sketches, and Jans does 3D modeling. 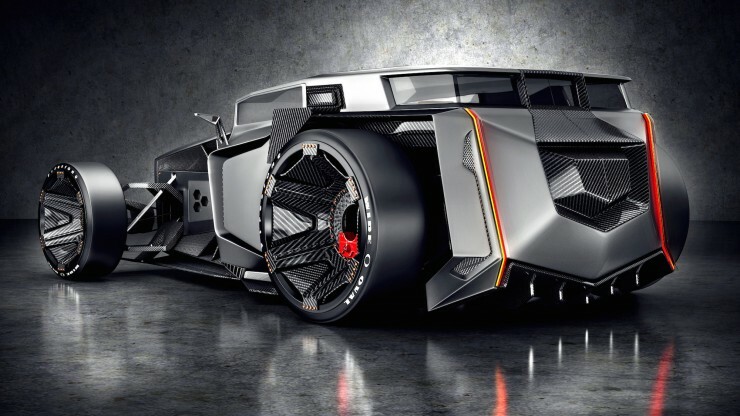 Together they created the insane Lamborghini Rat Rod that you see here. 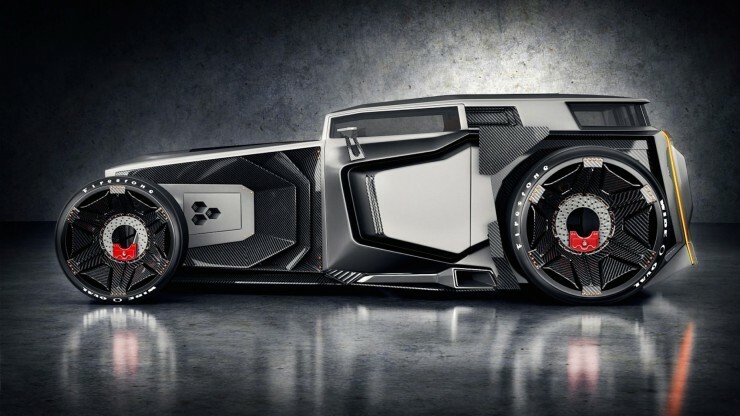 The duo incorporated elements from other vehicles too, including a Plymouth Cuda, Formula 1 cars, and an F4U Corsair fighter plane. 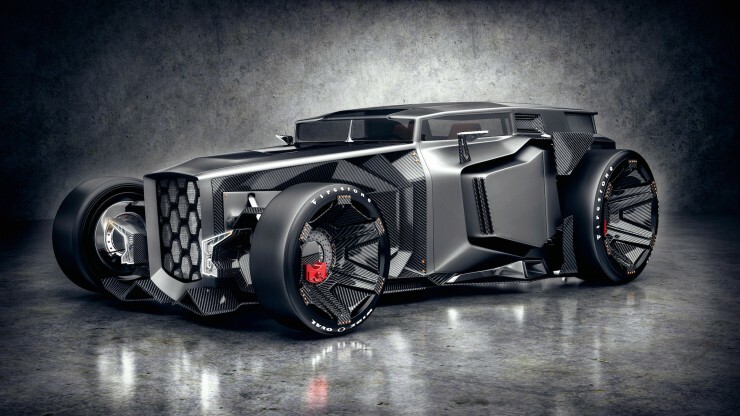 A little something like this, according to designers Pawel Wisniewski and Jans Slapins, the dual forces behind the strange, terrifying Lamborghini Rat Rod.